If you love Star Wars you might want to have this crochet Death Star as a sofa cushion in your home! 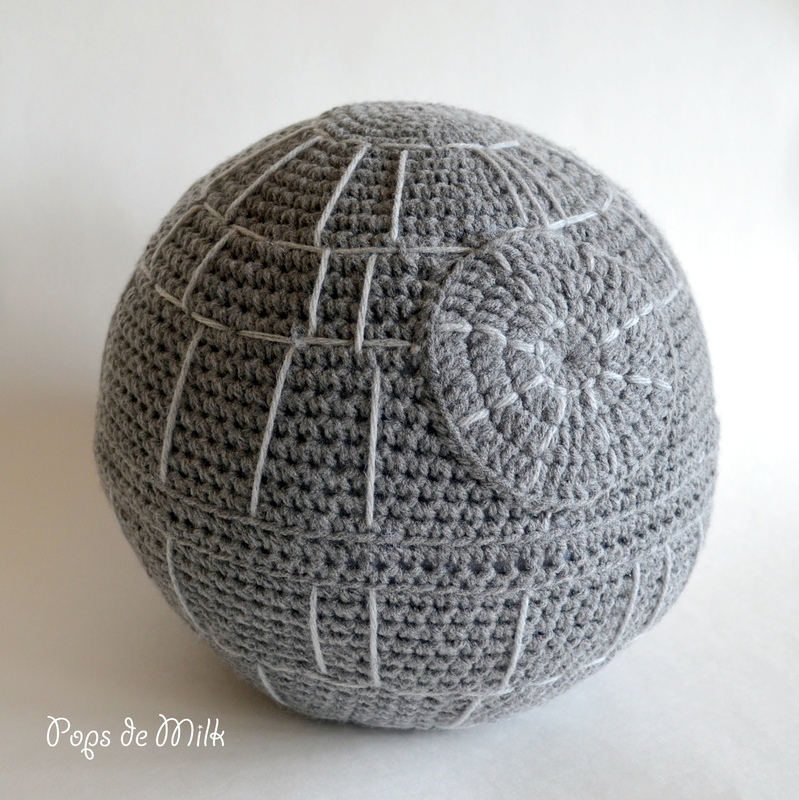 Death Star pattern makes a sphere that measures approx 24-27 inches around, dependent on stitch tension. Very easy pattern to make. Really enjoyed making. 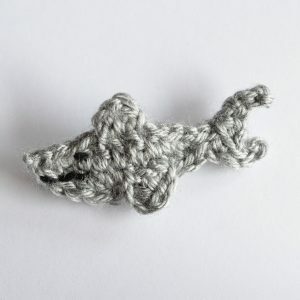 I enjoy crocheting very very much. Being a retired Military male I have lots of time, So yes I do. absolutely love this pattern. very simple to do and was worth every penny. thank you for putting this together! I haven’t started this project yet, but I am excited to make the Death Star. I’m going to give it to my son for his birthday! Not sure if I added a review for this- I can see 2 reviews but when I scroll down the page they both disappear and the page is blank. Isn’t that odd? (with Chrome). Anyhoo, LOVE this pattern and finally made it this year, it won second prize at our county fair (boo!) but my nephew who is a big SW fan LOVED it and so did his kids. Fun to make and easy to follow pattern. Oh, the ratings stars and submit button are also missing so I’m hoping I’m clicking on the maximum amount of stars! Loved this pattern! Got it started with the help of Patricia’s easy to follow YouTube video. I customised the design by adding my own top stitched details using a reference picture of the Death Star online. I agree with others…this is such a neat, easy pattern. A great gift for ‘kids’ of all ages. And may the force be with you! 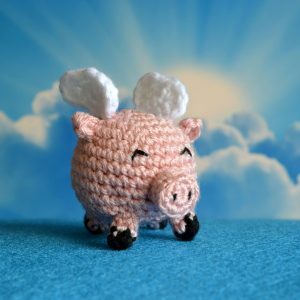 Can’t wait to get the pattern I bought it but not sure how to download it. Hello, please check your Paypal messages, I responded to you. Like all the other reviews the pattern was well written and easy to follow. This is a great pattern! I made it as a gift for my boyfriend and he loves it! Loved this pattern. Super easy and very good instructions. My niece will love it! Great pattern. Easy to follow. My Death Star turned out great! Thank you! This pattern was so easy to read and follow, and it worked up quick! 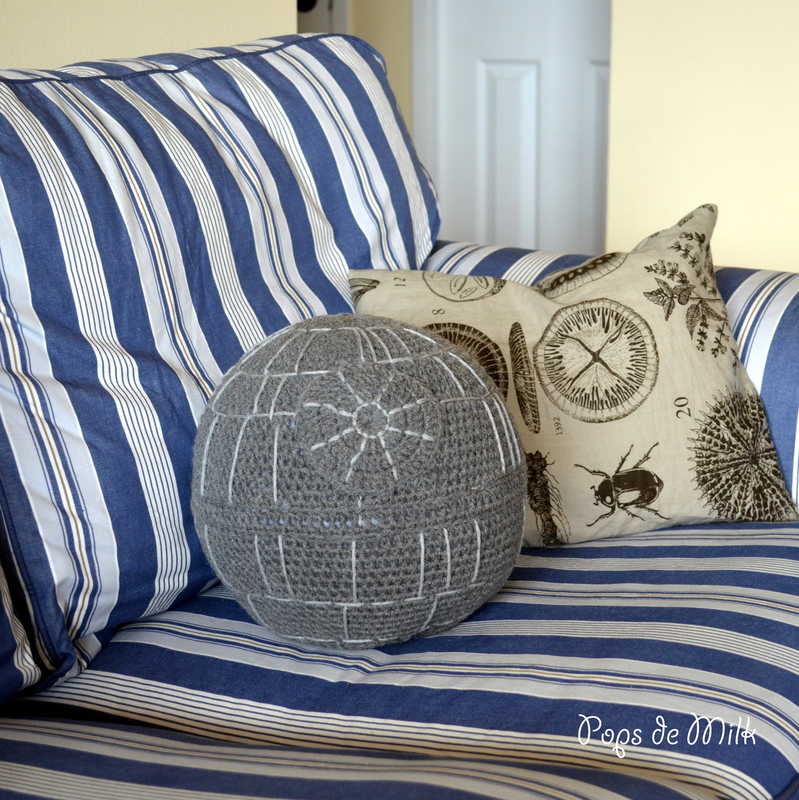 I really had a great time making my Death Star pillow. In fact, I made 2! Thanks for writing up a great pattern for us nerdy needleworkers! This is an awesome pattern!! I made it for my son who is a huge Star Wars fan and is 25 years old! The pattern was well written and very easy to follow. Thanks so much for the feedback, so glad you enjoyed it! Purchased the pattern weeks ago so I could make this for a friend and never received the pattern. Emailed the owner and havent heard a single thing. Really disappointed. Alexis, sorry for the late response and that the pattern didn’t reach your inbox. If you wouldn’t mind resending the email you sent me I’d be happy to respond and attach the pattern.